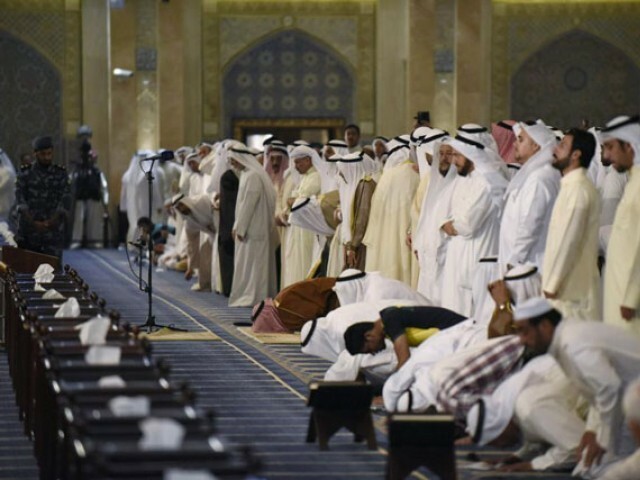 Hundreds of Shia and Sunni Muslims prayed for national unity at Kuwait’s grand mosque on Friday, vowing to block any attempt to stir sectarian division a week after an Islamic State staged the country’s deadliest militant attack. The Sunni group claimed responsibility for a June 26 suicide bombing on a Shi’ite mosque in Kuwait City that killed 27 and wounded more than 200. A Shia member of parliament Adnan Abdulsamad told Reuters Islamic State were “fools” for thinking they could destabilise Kuwait and the attack had only made Kuwaitis more determined to promote solidarity. Although a strategic minnow, Kuwait is an oil power and a supporter of US-backed efforts to fight Islamic State, providing intelligence, funding and the use of airfields for a Western-Arab coalition fighting the hardline militants. Relations have traditionally been good between the 70 per cent of Kuwait’s 1.4 million citizens who are Sunni and the Shias who make up 30 per cent, but regional rivalry between Sunni Saudi Arabia and Shia Iran has caused some strains. “Keep our nation safe and protect us from sedition,” said Sunni imam Waleed al Ali, reciting a prayer for a congregation that included the emir Sheikh Sabah al Ahmed al Sabah. Kuwait has detained 90 people in connection with the bombing, closed a charity for alleged militant ties in raising funds for Syrians and its parliament passed a law making it mandatory that authorities keep a record of all residents’ DNA. Kuwait’s interior minister said on Tuesday the Gulf Arab country was at war with Islamist militants and would strike out at cells still believed to be on its soil. Dozens of Shias and Sunnis prayed side by side Friday in a mosque near the capital of Bahrain. Residents said tight security was in place for the special session of weekly prayers in a mosque at Diraz. I read the blog ,its really informative and good. Thank you for providing such an informative blog. In these difficult times for Islam and Muslim Ummah where Zionist lobby is hell bent in trying to eradicate Islam, we request all Muslim leaders to take a leaf out Sheikh Al-Sabah's book to unite Muslims all over the world! Well done Sheikh may Allah bless you in this Holy month of Ramadhan. Start it in your own country and stop killing shias and Ahmedis. Maybe your country can stop the stock piling of weapons and provide somewhere to sleep for the millions of Indians that sleep hungry on pavements?